The morgue in Dayton, Ohio is full to bursting. Some days there are lifeless corpses arriving every hour. “We’re running at full capacity”, confirms the coroner. Along with its neighbours Kentucky, Pennsylvania and West Virginia, the state of Ohio is one of the areas in the country hit hardest by the opioid crisis. Videos of addicts collapsing in public – in supermarkets, at filling stations, on buses – are circulating on the Internet. The scale of the crisis is such that Donald Trump declared a national emergency last autumn. 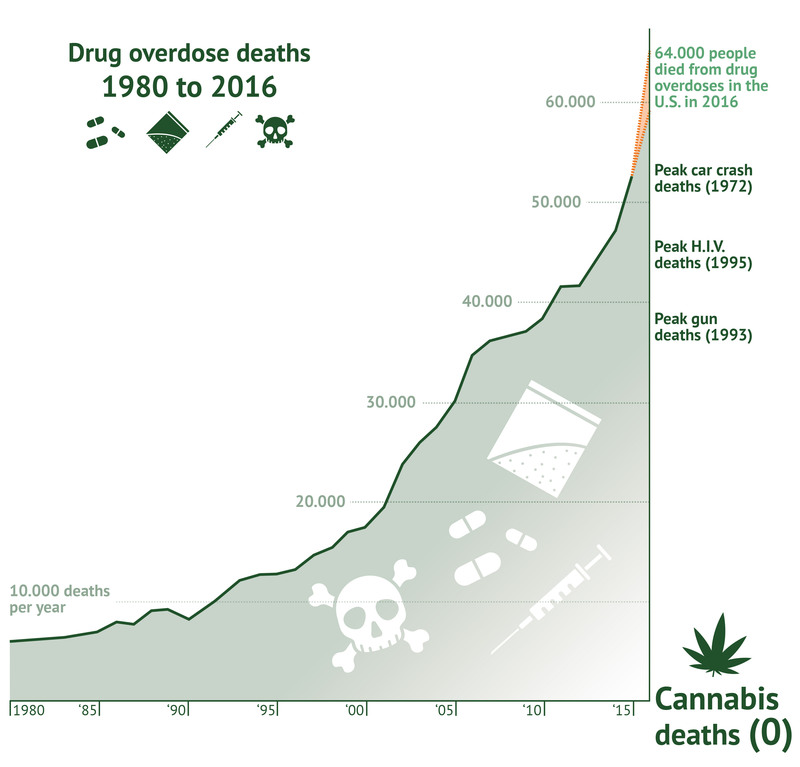 The figures speak very clearly: In 2016, 64,000 people died of an overdose. That is more deaths than at the peak of the AIDS epidemic, and more than the wars in Vietnam, Iraq and Afghanistan combined. Unlike in the past, the current drug epidemic is not an inner-city problem. It is mainly the suburbs and rural areas that have been hit. Places that have never really recovered from the economic crisis ten years ago. And unlike in the era of crack, it is the white people of the country that are affected. Millions of them are addicted to painkillers containing opioids, heroin and fentanyl. But how on earth did things get like this? $$$$$$$$$$$$$ It is Bonus Time in the Neighborhood! In terms of narcotic firepower, OxyContin was a nuclear weapon. The FDA (Food and Drug Administration) had classified OxyContin as a Class II substance, for which by definition there is a high risk of abuse and addiction. Nevertheless, Purdue marketed its pills as a cure for all types of pain. The press release for its launch claimed: “The fear of addiction is overstated.” A patented mechanism that ensures that the active ingredient is only released slowly (“Contin” stands for continuous release), was intended to prevent abuse. In 1996 Purdue started a large-scale advertising campaign to convince doctors, wholesalers and consumers of the benefits of the new magic pills. The campaign shows a happy grandmother who has got her back pain under control thanks to OxyContin, and can at last play with her grandchildren again. Doctors’ surgeries were supplied with nearly 35,000 starter coupons, that could be exchanged for free pills. Their own reps were persuaded by the big money. Literally. The subject of an email was: “$$$$$$$$$$$$$ It is Bonus Time in the Neighbourhood!” Meanwhile, Purdue financed thousands of training courses, conferences and associations. Who doesn’t have any yet, who wants more? The well-oiled marketing machine hit the bullseye. Initial scepticism gave way to enthusiasm. Some doctors started prescribing the colourful pills like Smarties. Their patients were happy and came back for more. This reflects a tragic weakness of the US health system: it is designed to do what patients want and not necessarily what is good for them. Very soon after its launch on the market, the first OxyContin pills showed up on the black market. It also quickly became known how to release the whole of the active ingredient at once. You simply ground up the pills. Users started to sniff and to inject “oxy’s”. But for many, just taking them orally led straight to addiction. In 2007 Purdue Pharma pleaded guilty to misleading the public about OxyContin’s risks of addiction. The company was sued for 634 million dollars. A drop in the ocean compared to the 35 billion dollars that the Sacklers apparently earned with their blockbuster drug. What happened next? Purdue invested more money than ever in its lobbying efforts. Between 2006 and 2015 the pharmaceutical industry spent nearly 900 million dollars on lobbying – eight times as much as the gun lobby over the same period. 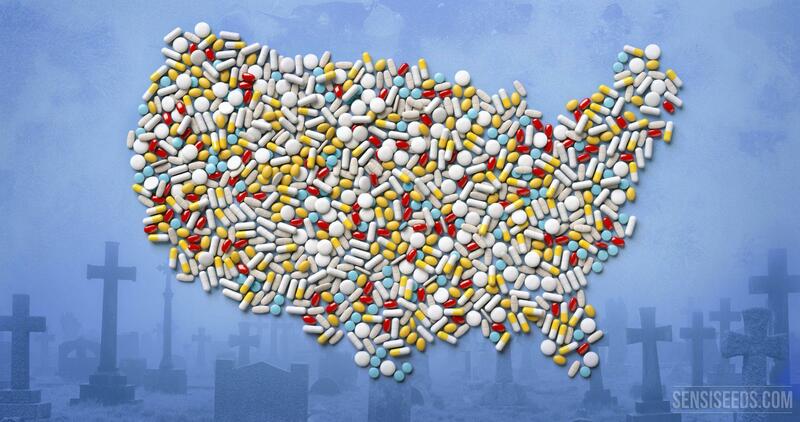 America’s appetite for opioids was far from being satisfied. The sales figures shot up. And the merry-go-round just kept on turning. In 2012 doctors issued 259 million prescriptions for medicines containing opioids – enough to hand every adult in the country a bottle of pills. This was the peak of the prescription frenzy. Once the US CDC (Center for Disease Control and Prevention) issued new guidelines for the prescription of opioids, the number of prescriptions began to fall. Now, what happens in any market where demand exceeds supply? Prices rise. That in turn got the Mexican drug cartels interested. They flooded America with cheap heroin. In doing so, the so-called “Xalisco Boys” acted in much the same manner as the Purdue marketing men before them. Based on publicly available statistics they targeted their product on poor areas with low education, where more than average accidents at work were recorded. They distributed free samples when they launched in the market. The strategy worked: Around a million Americans now regularly consume heroin. Around 80% of the new users, started out on their addiction with legal painkillers. Heroin is made from the milky sap of the opium poppy, that is hard to grow in Mexico. To be able to handle the huge demand, the cartels began to mix fentanyl with the heroin. Fentanyl is a completely synthetic opioid, that is fairly easy to obtain on the Chinese black market. Danny, a long-term heroin user from Philadelphia remembers when the new drug first appeared on the market: “When fentanyl came on people didn’t know about it. They didn’t know what they were messing with. They OD-ing all over. Once the dealers saw people dropping like flies, they were going, ‘Wow, we’re doing something wrong.’ Now they getting the cut right.” Unfortunately, we can only partly agree with Danny. Almost all the users who ended up in the morgue in Dayton, died from a fentanyl overdose. There is no end in sight. Experts assume that the number of deaths from drugs will continue to climb. Is there an opioid crisis outside the US too? Patrick Radden Keefe from the New Yorker was the one who exposed Purdue Pharma’s unscrupulous business dealings. Since then the company has been in the bad books in the US. The Sacklers still lead a double life. In public they present themselves as good guys and use their blood money to finance world renowned museums, galleries and universities. At the same time, they have created a whole network of new companies in order to move their opioid business overseas. Under the name “Mundipharma” the Purdue owners are now active mainly in countries like China, Mexico and Brazil. Keith Humphrey, Psychiatrist at Stanford University, warns about the globalisation of the opioid crisis31918-9/abstract). In the meantime, opposition is also growing on other fronts. The world-famous photographer Nan Goldwin herself became an addict through taking OxyContin. After a painful withdrawal, she has kicked the drug habit. And declared war on the Sacklers. On Twitter and Instagram she demands that the family invest a part of their fortune in addiction treatment and prevention programmes. Goldwin did have one stroke of luck. As a rich New Yorker she could afford to pay a famous rehab clinic, to help her get her drug problem under control. While we may welcome her campaign against the Sacklers: it would be an oversimplification to blame the pharmaceutical industry alone for this problem. Americas opioid crisis is first and foremost a social crisis. A lack of prospects and boredom are the perfect conditions for addiction to flourish. What people need are jobs that offer the chance of a decent life. That includes access to a functioning health system. In rural areas, the medical and therapeutic treatment, which addicts desperately need, is a shambles. Speech therapy and alternative treatments barely exist. Meanwhile, medicinal cannabis could in fact provide a route out of this crisis. Multiple studies and patient stories refer to the pain-relieving qualities of THC and CBD. As part of a current study, the University of New Mexico is researching whether patients with chronic pain could reduce their opioid consumption by using cannabis. The initial results are encouraging. Researchers at the University of Georgia were also able to prove that fewer painkillers are prescribed when people have access to medicinal cannabis. In terms of the effect of cannabinoids on opiate addiction, there are some interesting pointers from animal experiments. In one study, CBD blocked the reward effect of morphine. In another study CBD reduced rats’ behaviour in seeking heroin. The delayed positive effect could still be observed two weeks later, which might help prevent relapses. A new research initiative at UCLA also gives grounds for hope. 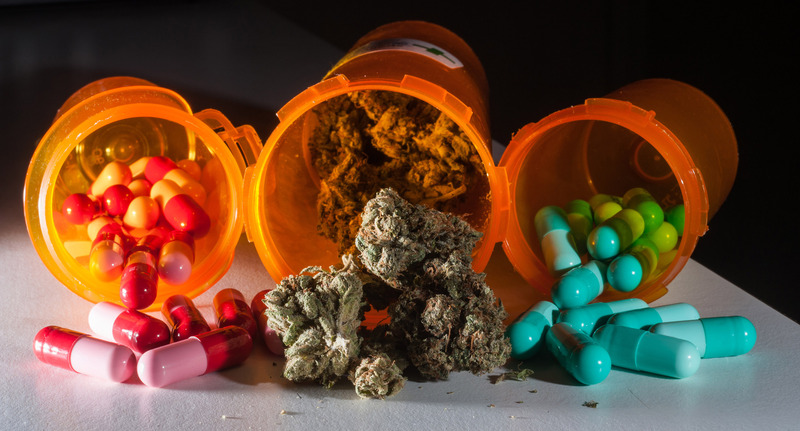 According to Jeff Chen, who is heading up the research, there are indications that cannabis might help people, to give up pills and heroin: “Where there is an element of chronic pain, cannabis can address the chronic pain element. We also know that opioid addicts have a lot of neurological inflammation, which we believe drives the addiction cycle. Initial studies indicate that cannabinoids reduce inflammation in the brain.” In fact, many opioid addicts report that they got through the withdrawal more easily thanks to medicinal cannabis. Nevertheless the federal government claims that cannabis has no medicinal potential. While allowing the pharmaceutical industry to pay them very handsome sums.